Investing involves risk, including possible loss of principal. Futures prices may be very volatile. 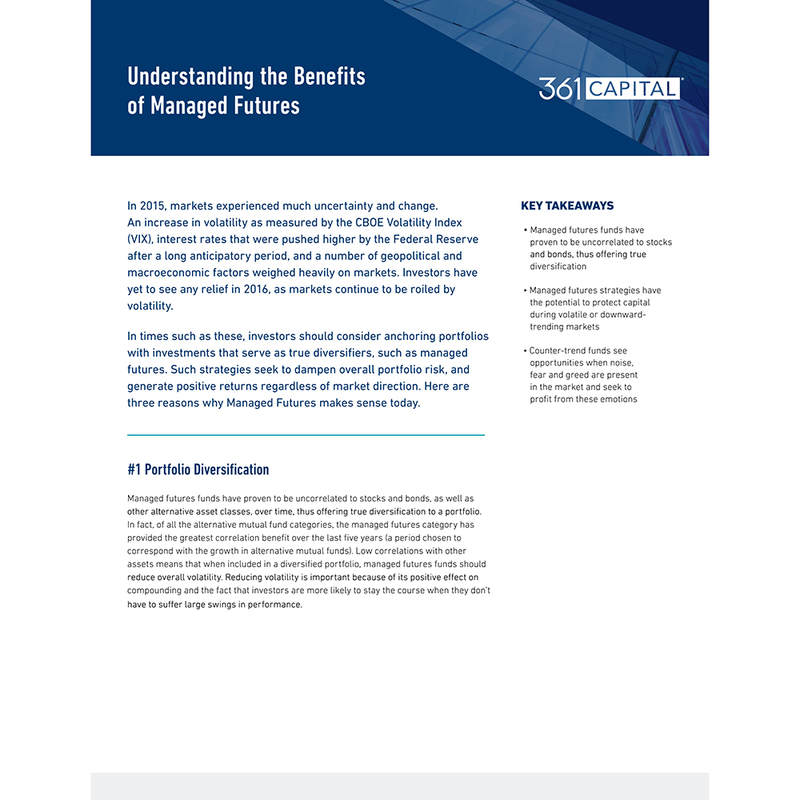 The small margin required for futures contracts magnifies the effect of market volatility and allows the loss from a contract potentially to exceed the Fund’s initial investment. With short contracts, the loss is theoretically unlimited since the appreciation of the underlying asset also is theoretically unlimited. Fund assets not invested in futures are invested primarily in investment-grade bonds. Bond prices generally fall when interest rates rise. Frequent trading by the Fund may reduce returns and increase the number of taxable transactions. Concentration of its portfolio in relatively few issuers may make the Fund more volatile than a diversified fund.